I love it when an idea comes together! 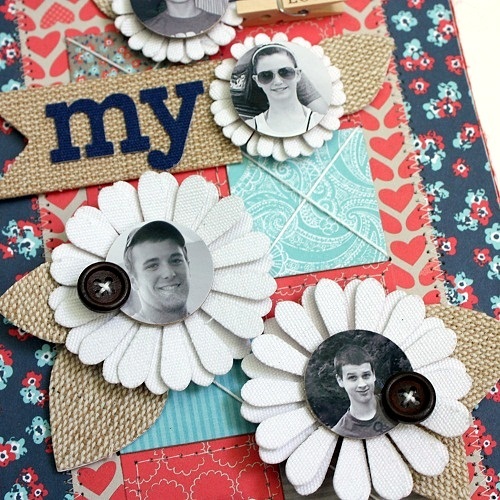 envisioned placing small, round photos of each child in the centers of the Naturals Canvas Flowers. patterned paper from LYB's Just Because Collection. 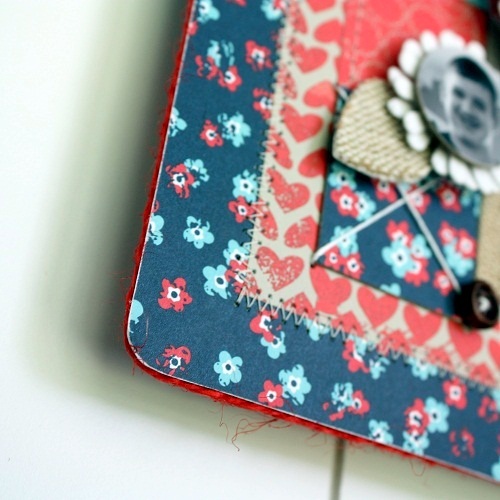 Next, I cut a mat of heart paper and machine stitched around the edge. 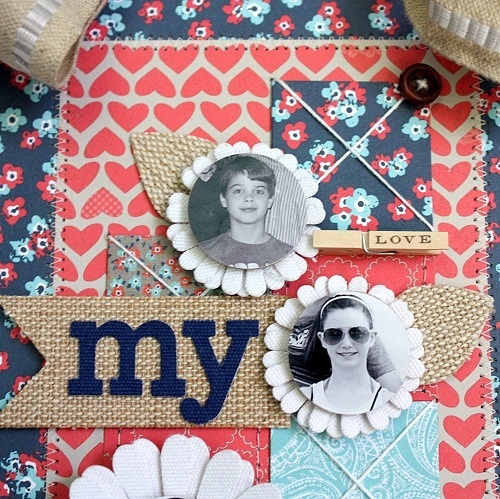 my square 1" dies and create a quilted look. I machine stitched around the red squares. mounted n place. To add some texture, I simply stitched a large X across those squares. 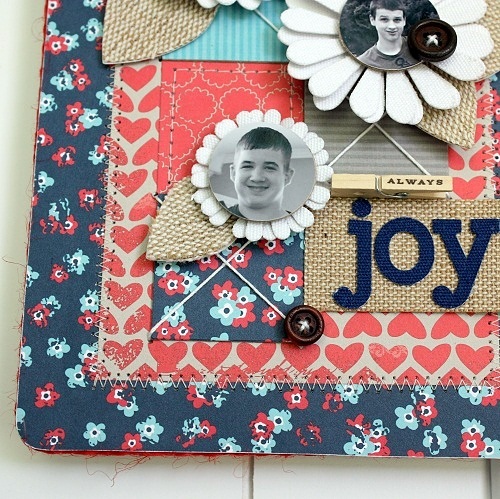 same size chipboard before adding to the flower centers (I used Glue Dots for this). clipping it onto the side of the flower. then added the Blue Canvas Alphas. Using Fabri-Tac I hid the edges of the chipboard with Red Jute. by May Arts...I left just enough at the top for hanging. 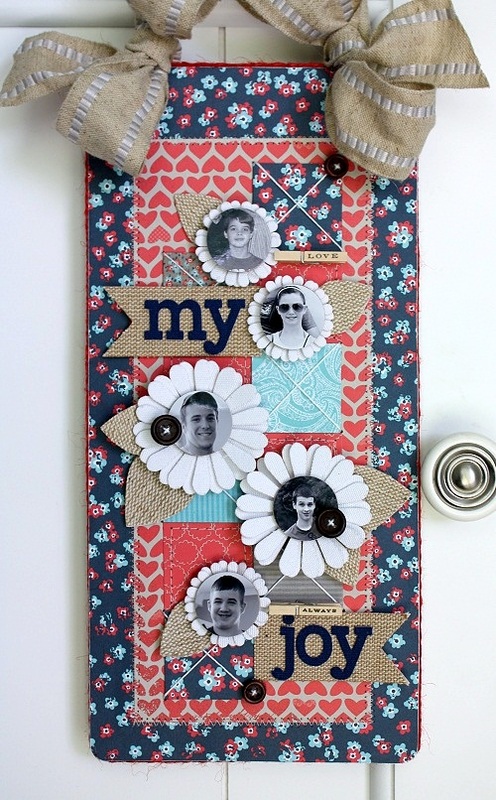 Check-out the other Mother's Day projects at the LYB Blog!